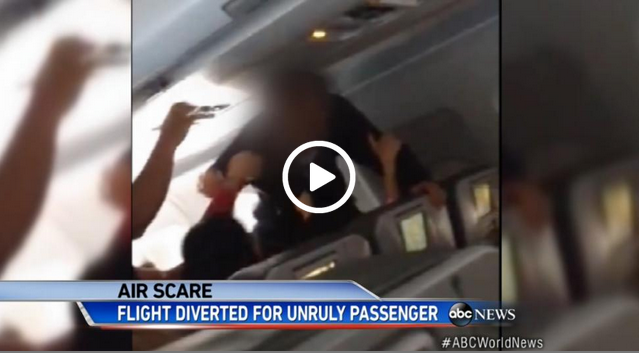 One of the crew members bound his wrists with plastic handcuffs, but the passenger still continued to kick and scream. He even continued to kick his own daughter. The passenger was taken to the rear of the plane and strapped to an empty row of seats away from the rest of the passengers. The pilot rerouted the flight to Detroit where passengers were left on the tarmac for hours. The JetBlue passenger was taken into custody by the Detroit airport police. They determined he needed medical attention and took him to a nearby hospital. Criminal charges are being considered.